Welcome to Boca Gold Golden Retrievers! We are located in Seminole, FL just minutes from the beautiful Gulf of Mexico. 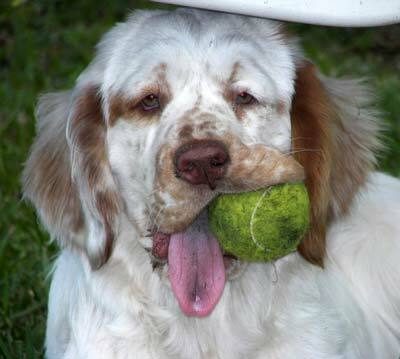 We currently share our home with 4 Golden Retrievers and our goofy Clumber Spaniel, Clue. Come on in, look around and let us know what you think! Like many Golden Retriever Enthusiasts, our love of animals began as children. Growing up we always had a family dog of various breeds and some of our fondest memories include our beloved furry friends. In her early married life (before 2 legged kids) Michele enjoyed having unique pets (a raccoon and marmaset to name a few) but their special requirements proved to be challenging. After losing Michele’s heart dog (an Australian Shepard), the family decided to try a new breed. 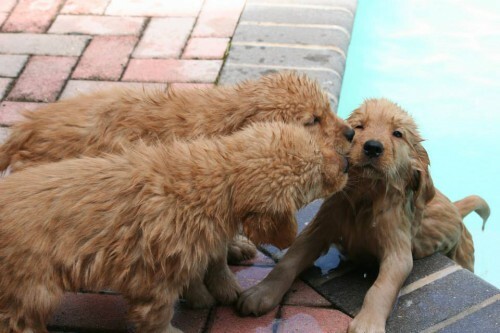 It was then that they realized the Golden Retriever was the breed for them! Boca was purchased as a pet from Jazzie’s Goldens in September of 2000. Michele and Nate joined their local specialty club (Mid-Florida Golden Retriever Club) and attended an educational seminar. It was then that Nate decided he wanted to show dogs (he was 8 years old at the time) and anyone who knows Nate can tell you that once his mind is made up, it’s pretty much a done deal! Since then we have trained in the field for hunting titles, finished multiple AKC Home Bred Champions and bred a few select litters of puppies. 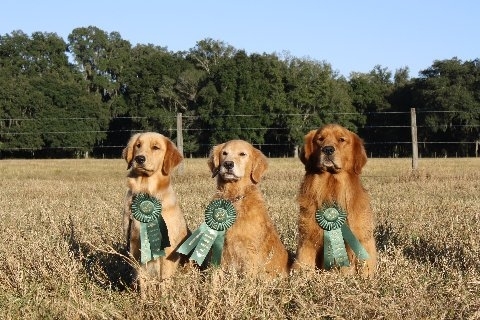 We are members in good standing with the GRCA and MFGRC and are also Founding Members of the Florida Gulf Coast Golden Retriever Club.